Here’s our latest register of cases heard at Boston and Lincoln magistrates’ courts. Cornel Deacu, 31, of Woad Farm Road, Boston. At Boston, committed assault by beating. Discharged conditionally for 12 months. £20 victim surcharge. £85 costs. Chelsea Glover, 22, of no fixed abode. At Boston, committed assault by beating – two counts against same individual from same date. In each case, community order made with Rehabilitation Activity Requirement. Restraining order made. At Boston, on the same date, assaulted a police officer acting in the exercise of their functions as an emergency worker by beating – two counts. In each case, community order made, as above. In each case, £50 compensation. At Boston Police Station, damaged Police Codes of Practice book to an unknown value intending to destroy or damage such property or being reckless as to whether such property would be destroyed or damaged. Community order made, as above. Breach of conditional discharge imposed for an offence of criminal damage. No adjudication, dealt with for original offence: at Boston, damaged a UPVC door to an unknown value intending to destroy or damage such property or being reckless as to whether such property would be destroyed or damaged. Community order made, as above. Mark Shepherd, 55, of Latham Avenue, Frimley, Camberley, Surrey. At Boston, committed assault by beating. Retraining order made. £400 fine. £100 compensation. £40 victim surcharge. £500 costs. At Boston, damaged a dinner plate to an unknown value intending to destroy or damage such property or being reckless as to whether such property would be destroyed or damaged. No separate penalty. Jevgenijs Vasiljevs, 40, of Granville Street, Boston. At Boston, in Granville Street, were guilty, while drunk, of disorderly behaviour. £200 fine. £30 victim surcharge. £85 costs. Ignas Bagdonas, 28, of Banks Avenue, Spalding. At Boston, in Spalding Road, drove while disqualified. £383 fine. £38 victim surcharge. £85 costs. Disqualified from driving for seven months. Driving record endorsed. At Boston, in Spalding Road, drove without insurance. £100 fine. Driving record endorsed. Jurijs Tihomirous, 46, of Montagu Street, Goole. At Boston, in Swineshead Road, drove after consuming so much alcohol that the proportion of it in blood equalled 200 milligrammes in 100 millilitres. Legal limit 80 milligrammes. £320 fine. £32 victim services. £85 costs. Disqualified from driving for 20 months. Driving record endorsed. Deividas Vysniauskas, 31, of Haven Meadows, Boston. At Lincoln, in Milman Road, drove after consuming so much alcohol that the proportion of it in his breath equalled 73 microgrammes in 100 millilitres. Legal limit 35mcg. £260 fine. £30 victim surcharge. £85 costs. Disqualified from driving for 36 months. Driving record endorsed. At Lincoln, in Milman Road, drove when the proportion of a controlled drug, namely Delta-9-Tetrahydrocannabinol, in his blood equalled 3.8 micrograms per litre. Legal limit 2 micrograms. No separate penalty. Disqualified from driving for 12 months. Driving record endorsed. Benjamin Moss, 32, of Woodland Avenue, Spilsby. At Friskney, in Yawling Gate Road, drove when the proportion of a controlled drug, namely benzoylecgonine, in his blood equalled 172 micrograms per litre. Legal limit 50 micrograms. £120 fine. £30 victim surcharge. To be detained in the courthouse until court rises. Disqualified from driving for 12 months. Driving record endorsed. At Friskney, in Yawling Gate Road, drove without insurance. No separate penalty. Driving record endorsed. Max Chapman, 18, of Boston Road, Sutterton. At Boston, in Liquorpond Street, drove when the proportion of a controlled drug, namely methylenedioxymethamphetamine (MDMA), in his blood equalled 75 micrograms per litre of blood. Legal limit 10 micrograms. £120 fine. £30 victim surcharge. £85 costs. Disqualified from driving for 12 months. Driving record endorsed. Marian Banescu, 52, of Main Road, Quadring. At Grantham, on the A52, drove without due care and attention. £440 fine. £44 victim surcharge. £85 costs. Driving record endorsed with five points. Anthony Hemmingway, 35, of Croughton House, Sibsey. At Sibset, on the A16 Main Road, drove without due care and attention. £120 fine. £30 victim surcharge. £85 costs. Disqualified from driving for 12 months. Yvette Guy, 36, of Castledyke Bank, Gipsey Bridge, Boston. At Lincoln, failed to give information relating to the identification of the driver of a vehicle who was alleged to have been guilty of an offence when required to do so. £660 fine. £66 victim surcharge. £85 costs. Driving record endorsed with six points. Andrus Jovaisa, 43, of South Parade, Boston. At Lincoln, failed to give information relating to the identification of the driver of a vehicle who was alleged to have been guilty of an offence when required to do so. £660 fine. £66 victim surcharge. £85 costs. Driving record endorsed with six points. Gheorghe Nica, 44, of Grove Street West, Boston. 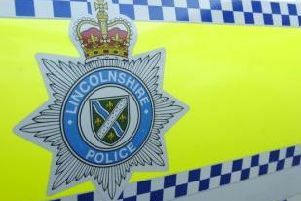 At Lincoln, on two dates, failed to give information relating to the identification of the driver of a vehicle who was alleged to have been guilty of an offence when required to do so. In both cases, £660 fine, £66 victim surcharge, and £85 costs. In first case, driving record endorsed with six points, in second case, disqualified from driving for six months and driving record endorsed with six penalty points. Mikasis Dangiras, 31, of Haven Meadows, Boston. At Lincoln, failed to give information relating to the identification of the driver of a vehicle who was alleged to have been guilty of an offence when required to do so. £660 fine. £66 victim surcharge. £85 costs. Driving record endorsed with six points. Adrian Gabrowski, 20, of Haven Meadows, Boston. At Boston, in Sandpit Lane, drove without insurance. £660 fine. £66 victim surcharge. £85 costs. Driving record endorsed with eight points. At Boston, in Sandpit Lane, drove otherwise than in accordance with a licence. £220 fine. Driving record endorsed. Marius Lazar, 44, of Robin Hoods Walk, Boston. At Boston, in Freiston Road, drove without insurance. £660 fine. £66 victim surcharge. £85 costs. Driving record endorsed with six points. Vasile Iancu, 22, of South End, Boston, At Boston, in Tunnard Street, drove without insurance. £660 fine. £66 victim surcharge. £85 costs. Disqualified from driving for six months. Driving record endorsed with six penalty points. Lukasz Nowakowski, 36, of Punchbowl Lane, Boston. At Boston, on the A17 at Wigtoft, drove without insurance. £660 fine. £66 victim surcharge. £85 costs. Driving record endorsed with eight points. Benjamin Whiteway, 31, of Freiston Road, Boston. At Boston, in Sleaford Road, drove a vehicle fitted with an exhaust system which was not maintained in good efficient and working order. £70 fine. £30 victim surcharge. Einars Vitols, 36, of Wellington Road, Boston. At Boston, failed to comply with the notification requirements as provided by a section of the Sexual Offences Act in that he failed to notify to police the receipt of a new passport. £120 fine. £30 victim services. £85 costs. Andrzej Wal, 45, of High Street, Boston. At Lincoln, failed to provide a specimen/s of breath for analysis in the course of an investigation into whether they had committed an offence. £255 fine. £30 victim surcharge. £85 costs. Disqualified from driving for 36 months. Driving record endorsed. Paul Hazzard, 40, of South Terrace, Boston. At Skegness, stole three Friends Monopoly games to the value of £90 from The Works. £180 compensation. At Skegness, the following day, stole two Burjois Healthy Serums to the value of £21.98 from Boots. £43.96 compensation. At Skegness, on the following day to the second offence, stole two Burjois Healthy Serums to the value of £21.98 from Boots. No separate penalty, At Skegness, on a fourth date, stole three Friends Monopoly games to the value of £90 from The Works. No separate penalty. At Skegness, on a fifth date, stole a child’s bike to the value of £50 from Beales. Compensation £49.99. At Skegness, on a sixth date, stole chocolate to the value of £81.26 from the Co-op. £81.26 compensation. 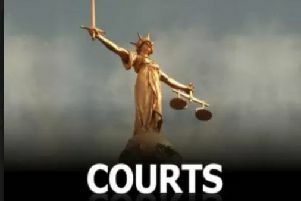 John Harding, 47, of Ash Court, Spalding. At Boston, stole candles and sunglasses to the value of £174.95 from Boots. To be detained in the courthouse. Detention deemed served by reason of time already spent in custody.